According to a report this week by Bloomberg Businessweek, the five biggest tech companies in the U.S. —Apple, Alphabet/Google, Amazon, Facebook and Microsoft — spent a total of $80 billion in the last year on "big-ticket physical assets," a category that includes manufacturing equipment, specialized tools for product assembly, real estate investments, and even physical cables. This is not only a surge in infrastructure spending from 2015, when the companies spent $40 billion, but it places them ahead of many old-economy firms, such as oil and automotive companies. In something of an odd formulation, Businessweek said General Motors spent about one-tenth on infrastructure of what the five tech companies did, combined, in the last year. General Motors earned $145.6 billion in revenue in FY 2017, compared to $229 billion for Apple, $177.87 for Amazon, $110.85 billion for Google, $89.95 billion for Microsoft, and $40.6 billion for Facebook. The magazine does not cite where it got its data, nor did it provide a ranking or break out the amount of spending by company. The gradual increase in spending by Apple and the other tech firms likely has to do with changes in technology. Data centers have gradually become a more important factor for tech firms. 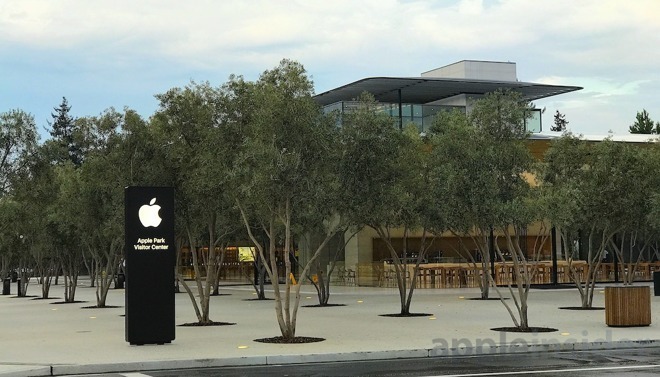 In addition, Apple has opened a $5 billion new headquarters and has made significant other real estate investments, with Amazon looking to do the same. Apple announced in January that it will spend $10 billion over the next 5 years on data centers. And in 2015, the company announced plans to ramp up its infrastructure spending in the coming years.